Please let me know if you have any problems with the pattern or if you find any errors. 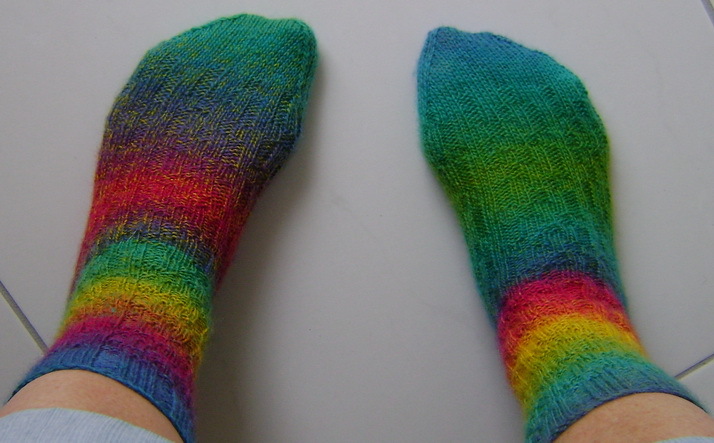 Have fun making my Random Tracks Socks! You can download a pdf copy of the pattern here. Yes Pat that is correct. The three rows repeat to form the random tracks pattern. Sorry that wasn’t too clear. Thank you for contacting me. On the “Turn Heel” instructions, what does the term “sks” mean? 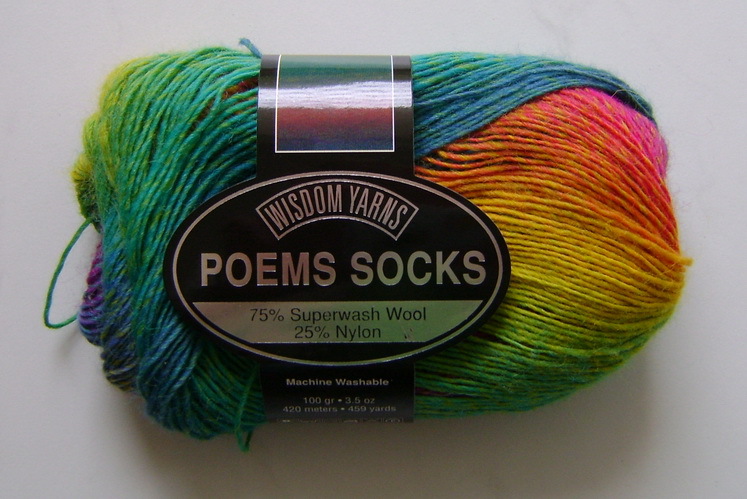 In 50+ years of knitting, I’ve never run across this, and I can’t find it in any knitting glossary. I’m assuming it’s a decrease? Like a “slip slip knit” (ssk)? Hi Nancy, The abbreviation is at the top of the pattern. sks (slip, knit, slip) Sl next stitch, knit one stitch, pass slipped stitch over knitted stitch (one stitch decreased). Oh, all right. I looked on the pattern and couldn’t find it. That’s what I’ve always heard called the SKP (slip, knit, pass). Thanks! 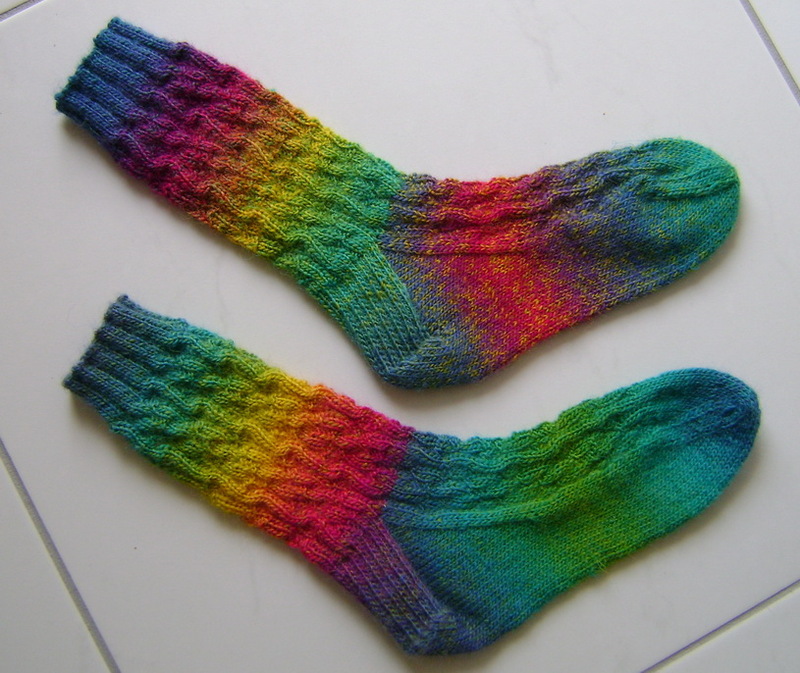 Does it take one ball of sock yarn for both socks or a ball per sock? 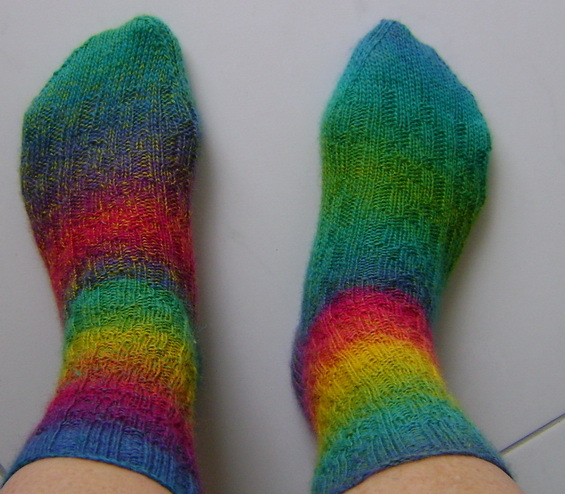 Im new to socks! Thank you! I have four skeins at home so now im excited I get four pairs! You’re very welcome. Have fun! !